Long before menopause ever sets in, you start gradually experiencing changes in your monthly cycle. Because this time frame, known as perimenopause, can mimic the symptoms of menopause, Leita Harris, MD, of Nurturing You Women's Health & Wellness spends time diagnosing you and finding an ideal solution to resolve symptoms. Book your perimenopause evaluation at this Corona, California-based practice by clicking on the online scheduler or by calling the office directly. Perimenopause is the period of changes that occur before you actually enter menopause. This natural transition stage begins marking the end of your reproductive years and can occur as early as your mid-30s and into your 40s. During perimenopause, your estrogen levels rise and fall in uneven patterns throughout the month. You might start noticing that your periods are becoming shorter, or even longer, and that you start experiencing menopause-like symptoms. It’s common to stay in the perimenopause stage for years, long before menopause ever sets in. These perimenopause symptoms may vary from month to month, depending on your hormonal changes. Plus, you’re still fertile during perimenopause, although you might find that it’s harder to get pregnant, which could result in needing fertility treatments. Is there treatment for perimenopause symptoms? Absolutely! 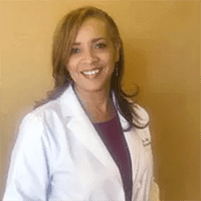 Dr. Harris specializes in stabilizing your hormone levels and getting to the root of why you’re experiencing perimenopause symptoms, so she can start working with you on personalized treatment options. One of the most effective perimenopause treatment solutions is bioidentical hormone replacement therapy (BHRT) with SottoPelle® pellets. The breakthrough technology behind SottoPelle BHRT involves implanting pellets underneath your skin. This treatment delivers natural hormones directly to your bloodstream 24/7, so you never have to worry about hormonal fluctuations and the continuing return of severe symptoms. Dr. Harris also offers bioidentical hormone creams, suppositories, and other formularies that can target specific symptoms (like vaginal dryness). You have so many options available for relief at Nurturing You Women's Health & Wellness, you won’t have to worry about living with perimenopause symptoms another day. Get relief from perimenopausal symptoms by booking your evaluation at Nurturing You Women's Health & Wellness today. Schedule online or over the phone.